"Until man duplicates a blade of grass, nature can laugh at his so-called scientific knowledge. Remedies from chemicals will never stand in favor compared with the products of nature, the living cell of a plant, the final results of the rays of the sun, the mother of all life." 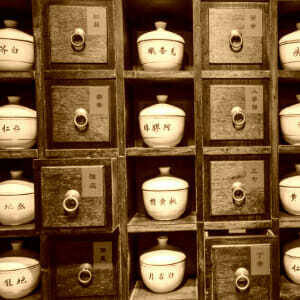 The use of Chinese Herbal Medicine has been documented as early as 2,500 years ago. Information has been gathered, compiled, formulated, exhaustively tested and handed down from generation to generation, from teacher to student herbalist. This system of herbology has studied and tested the herbs for their effects on organs, tissues, disease factors for thousands of years and meticulously classified according to their energetic qualities and their ability to address the disharmonies in the body. 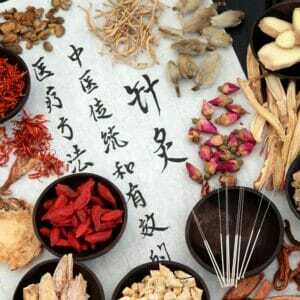 It is our intention to continue this rich and safe tradition of prescribing herbal formulas. Custom formulas are designed for you to maximize the powerful therapeutic effects of these natural substances. 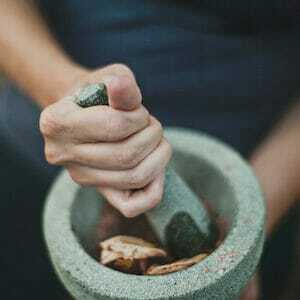 The sophistication and intricacies of the Chinese system requires our herbalists to do a complete and full examination and traditional diagnosis prior to prescribing and developing a unique and individualized formula specific to your own personal needs. This process is taken on with great care by our dedicated herbalist. Herbs: A Stand Alone Approach? After obtaining a complete picture of a person's health and medical history, a pattern will emerge which guides your practitioner to the root of your disharmony/imbalance. After this traditional diagnosis, an herbal plan is developed which will include a custom formula tailored specifically for your needs and rooted in the traditions of nature's original medicine. While Acupuncture & Herbs are excellent individual stand alone approaches, they are tremendously effective when used in conjunction with one another.